We had a great time with our RED-y to Stamp Camp. 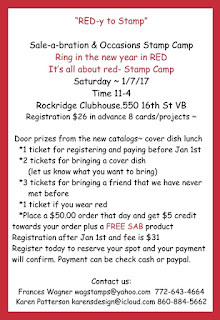 Red was our theme.. You got an extra door prize ticket if you wore red, our projects we in red, some of our displays had red in them or valentines and we had a Hot Chocolate Bar with red on it. 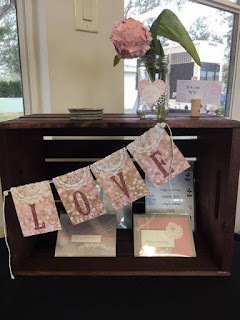 Check out our next event and join the fun. 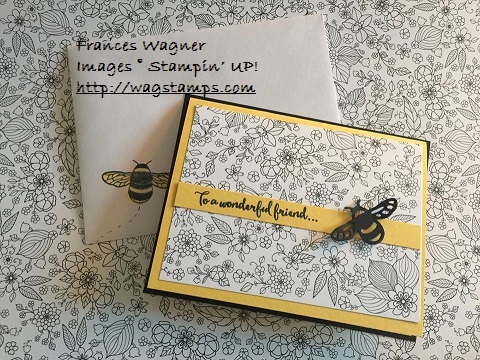 Here are some of our friends stamping and having fun. 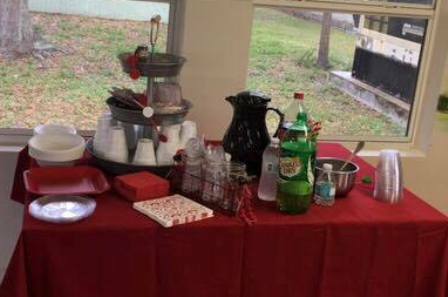 Hot Chocolate Bar- I forgot to take a photo with just that but you sort of get the idea. 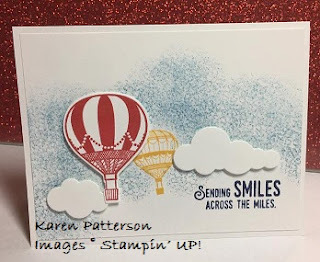 DISPLAYS- Karen and I wanted to show our friends/customers and you that you can do more with stamps than just make cards or scrapbooks. 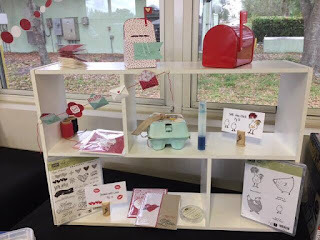 Do you see that adorable itty bitty banner? Itty Bitty Banner- I just copied the idea from the New Occasions Catalog. 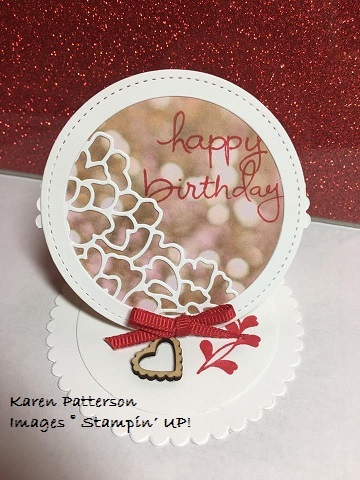 Another idea I cased from the catalog. I love it, so did everyone else. I will post other ideas from our Stamp Camp soon. Thanks for stopping by! Do you love to stamp? 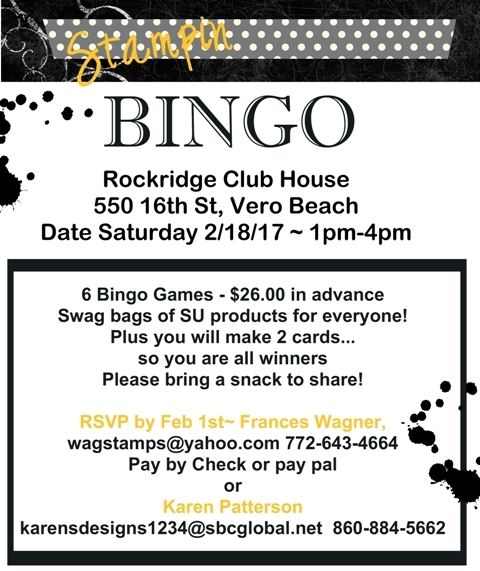 Do you love to play Bingo? 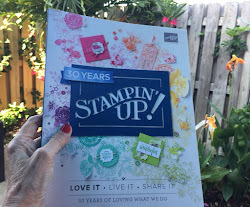 Well you are going to love, love, love this event- Stampin Bingo - check it out and sign up today. 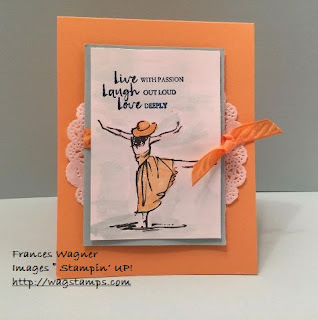 Labels: Frances Wagner, Stampin Bingo, Stampin' Up! 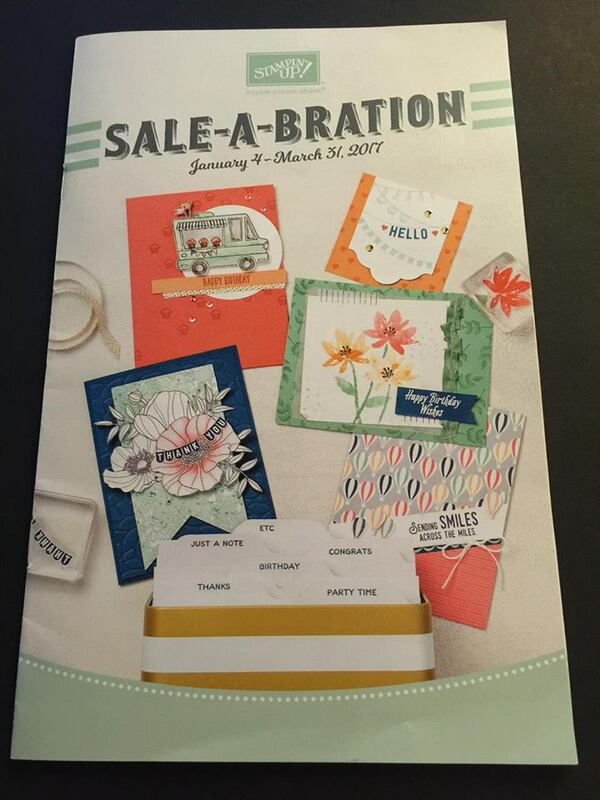 New Catalogs GO LIVE TODAY!!! 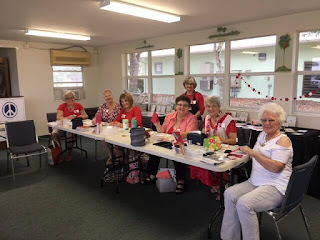 This week I had my first class of the year at The Brennity (a retirement community) and what a fun time we had. Meet Evi on the left and Debbie on the right. They loved their cards and were so excited. That is the very best part about my job (HA! did I say job?) It's fun, fun, fun when you see someone experience what you love and they love it too. 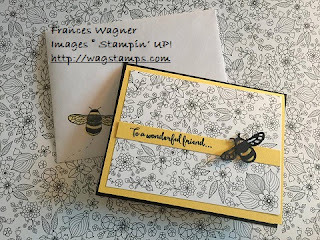 The first card they made was using the Dragonfly Dreams Stamp set and Detailed Dragonfly thinlits. Which also has a bee on it. 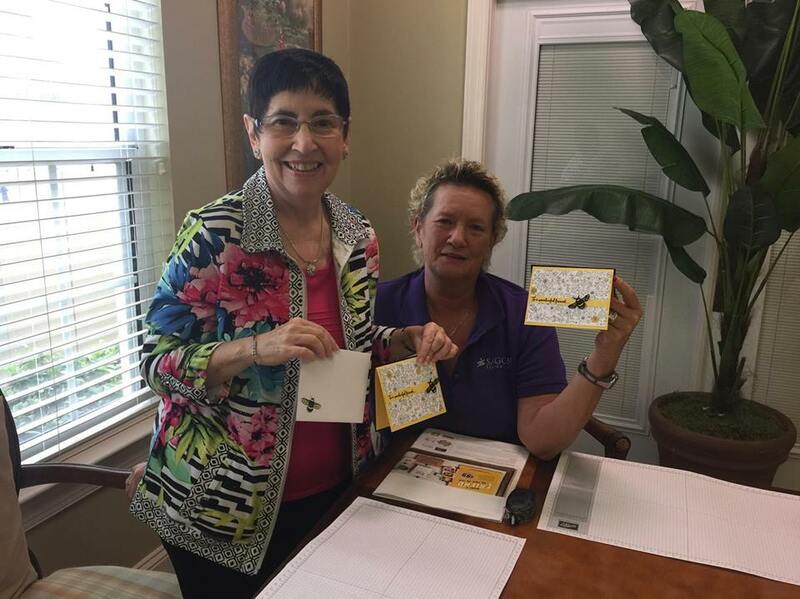 They loved stamping the envelopes too. 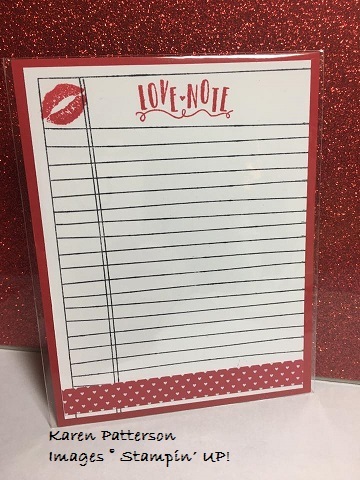 Plus you can get it as a bundle and save 10% Did you notice that cute flower background paper (Inside the lines designer Series Paper? That was FREE in the SAB catalog ! Check out page 11 in the SAB catalog. 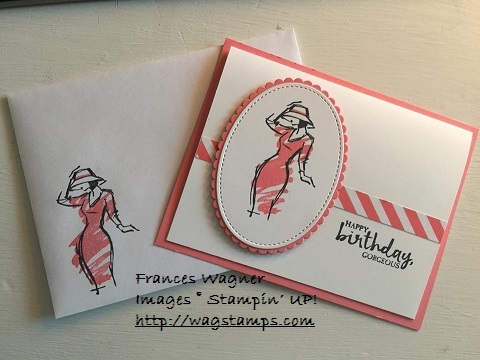 Next we made this cute simple card using Beautiful You stamp set, it reminds me of an artist drawing new fashion ideas. So easy to work with. I especially like it with Flirty Flamingo accent color with ink and card stock and designer paper that all match. Another reason for loving our products everything coordinates. Starting today January 4th during the SAB promotion you may want to consider getting the best kit we have! The Demonstrator Starter Kit! 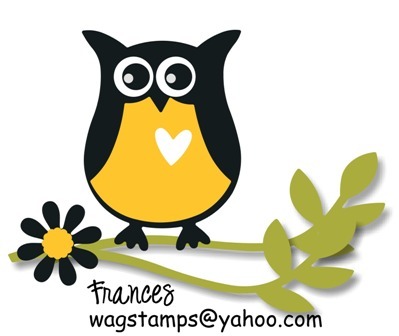 Join my WagStampers team for only $99 and choose up to $125 in products (that’s $26 in free products) and the starter kit ships free for another 10% savings. 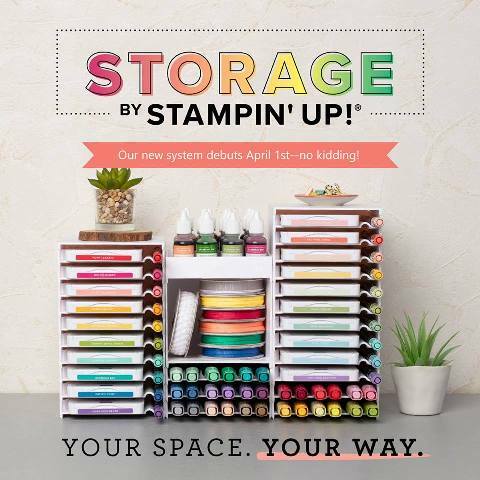 Plus during this promotion you get 2 extra free stamp sets of your choice (any price) when you purchase Demonstrator Starter Kit, hostess sets excluded. Promotions Ends March 31, 2017. 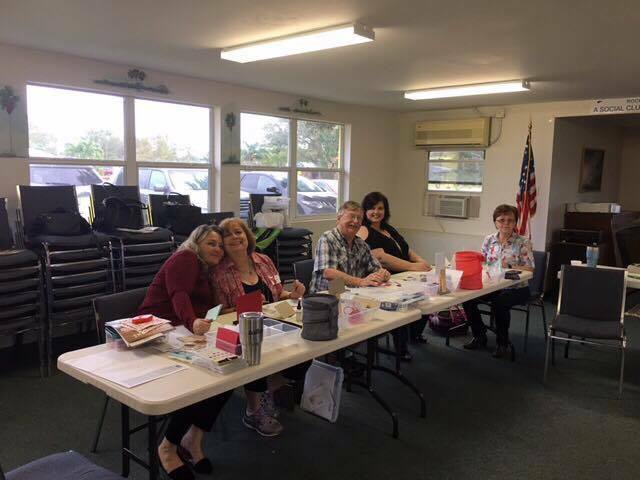 When you join my team you will have access to my Facebook Team private group where we have team meetings and share ideas and samples and form great friendships. I welcome hobby stampers from all over the USA ( you do not have to live next door to be on my team!) I have been a SU demo for 17 years so I am here to stay. 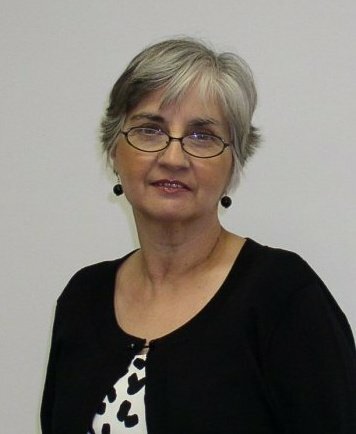 Contact me if you have any questions, I look forward to working with you. If you are ordering on my Stampin' UP! website be sure to use this hostess code for free goodies from me at the end of the month. 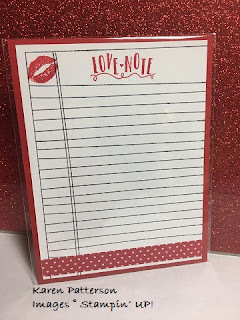 This is something new I am offering to my team to share ideas across the internet with a blog hop from one to another. We only have two this time but it will grow and I hope you will keep coming back to see what we all come up with. 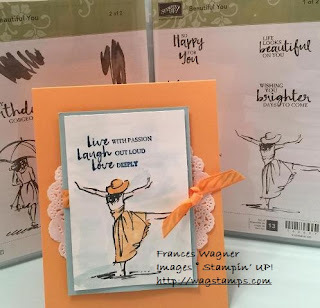 For my first WagStamps Blog Hop I thought I would use this adorable set Beautiful You and I am loving using the New Watercolor Pencils as well as my Aqua Painter. You are going to want to check out my Watercolor Kit I have created and while you are at it get a free SAB item. Stay tuned. 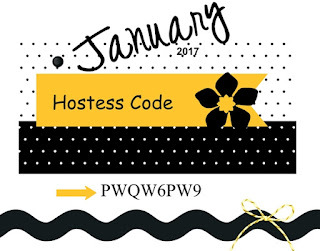 Check out my sample that I created- I have to be honest with you but I am not a great at coloring. 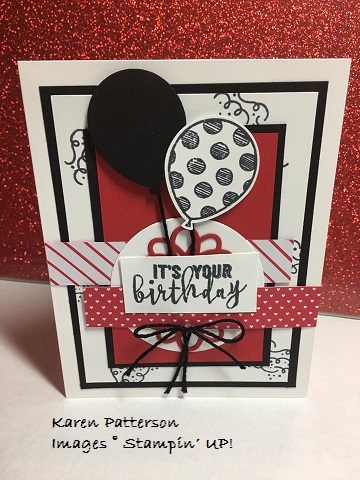 :( sooooooooooooo if I can make a pretty card using watercolor technique so can you. Right!?!? Check out this video for using the new Watercolor Pencils, don't forget starting January 4th you can order them. 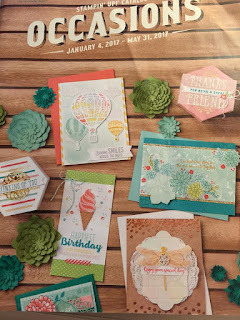 Check out Cindy's Blog and see what she has to share this month from the new Occasions Catalog. Here a few more videos of new products. 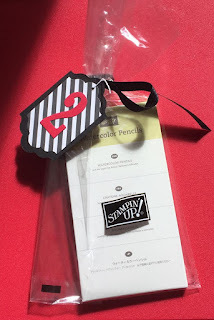 I hope you have enjoyed viewing the videos for the new products. Contact me if you have any questions. Are you ready for the new catalog! 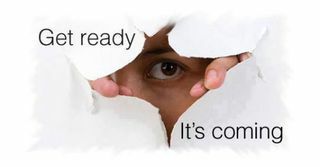 I am here to tell you that you are going to love it. 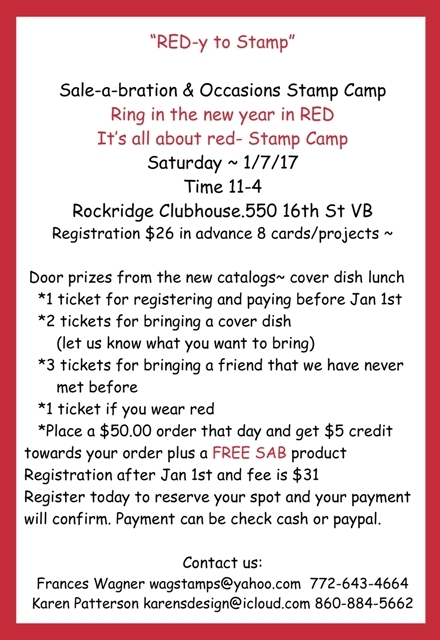 Don't forget to sign up for our Stamp Camp for Jan 7th we have a lot of fun ideas for you to make. Labels: Frances Wagner, HAPPY NEW YEAR, stamp camp, Stampin' Up!